This amazing property is situated in the picturesque region of Konavle, near the tranquil village of Komaji. 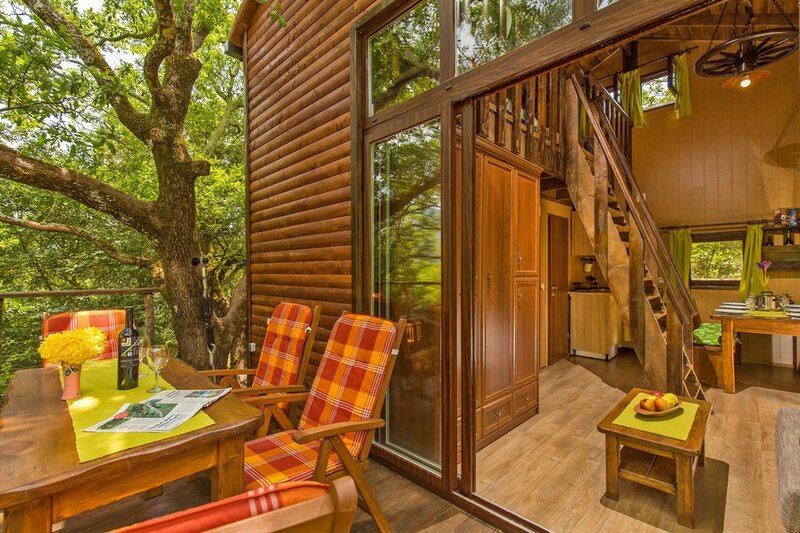 Nestled deep in unique oak woodland, guests can enjoy their vacation in a beautiful, secluded spot. Just thirty minutes south of the exciting city of Dubrovnik, guests will have access to a wide range of must-see spots while staying at this property and it is perfectly located for those wishing to get to know Croatian tradition, taste delicious local delicacies, and enjoy untouched nature. The range of local produce will help guests immerse themselves in the culture, and the chance to witness silk production in this area will be an unforgettable experience. There really is no limit to the possibilities for fun and adventure during a stay at this amazing property. For guests who are looking for a relaxing break, the exquisite views will be the perfect backdrop for an afternoon of relaxation. However, the on site adventure park is a key attraction at this property and glampers of all ages can get an adrenaline rush spending the day on the 4 zip-lines or the giant swing. Paintball and archery are also both available here, along with a range of traditional games that make up the infamous village olympics that take place here. There is also the chance for guests to go hiking or cycling through the breathtaking untouched nature in order to get to know the incredible wildlife found in this part of the world.